Navigational markers, much like street signs, issue warnings and instructions. Boaters must learn how to read these markers to navigate waterways. Moreover, buoys are the most encountered nautical marker, these floats bob with the waves as they command the ocean’s traffic. Navigational markers, abbreviated as ATON, may be naturally occurring features of the landscape such as the mouth a river or an island. For centuries sailors used the stars and landmarks to navigate their vessels. In addition to these naturally occurring landmarks, there are lighthouses and beacons. However, the most familiar of navigational markets are buoys and channel markers. There are a variety of buoys and channel markers and each one possesses unique characteristics. These characteristics ensure that it isn’t mistaken for another signal. Additionally, a buoy’s characteristics include lighting, color, shape, numbering or lettering. Buoy’s and channel markers, in the United States, line either side of the channel. This is called the lateral system. While returning to the harbor, entering a smaller body of water, the rule of thumb is red on the right. Often, Mariners say leave the red buoys to starboard when returning. In other words, keep the red buoys on the right side as we pass. Mariners also rely on a buoy and channel marker numbering. Numbers increase along the way to a smaller body of water. Moreover, green buoys always possess odd numbers. Each buoy or channel marker issues a different command. For example, green and red buoys and channel markers possess numbers. Moreover, some buoys possess lights and horns so they may be seen in the fog. A buoy’s lights may flash in a sequence or remain solid. These numbers indicate how far away the harbor is located. It’s essential for the boater to learn to read the command the buoy is issuing, the buoy is the king of the sea. Methods of communication along the sea are fascinating. Navigational markers and flags dominate the sea’s motorways. Lesser seen navigational markers may include a lighthouse and the mouth a river, but buoys, and channel markers and flags reign supreme. 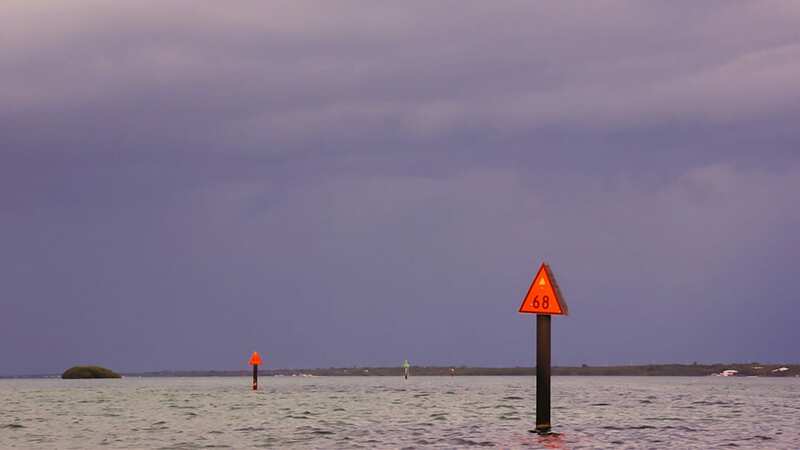 Moreover, the boater must learn to read the signal a buoy or channel marker emits. These signals assist the boater in avoiding rocks and shallow channels. © 2019 Roundabout Watercrafts. Web design by Audacious | This site has been Forged.